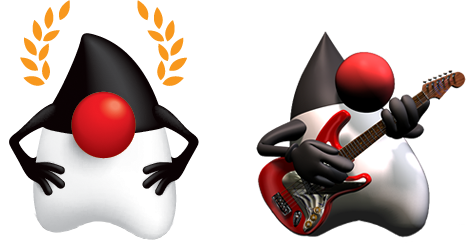 Java 9 was release in September 2017 and with it came a brand new modular platform known as JPMS, delivered by Project Jigsaw. Building projects that an leverage this new feature can be a bit daunting however the Gradle plugins in the following list can help you in keeping things under control. The production code itself is safe but dependencies are not. This particular project may encounter problems when moving to a version of Java greater than 8. This report lets you know that it may be a good idea to review usages of Guava and perhaps consider alternatives if the project ought to be run using a much newer version of Java. Builds that use this plugin may run using Java 8. The jdeprscan tool is also available in OpenJDK distributions since Java 9. This tool generates a report of APIs that have been marked for deprecation and that are still referenced in your code. Typically you’ll run the build with a newer version of Java (at least Java9) however the plugins runs also on Java 8 but you’ll have to configure an external reference to a JDK that provides the jdeprscan tool. This plugin also runs with Java 8 as a minimum. This is enough information for the modules plugin to configure the module path for compiling, testing, and running the application. When running the jlink task we get a custom JVM image located at build/image. If you inspect the size of this folder you may see it weights about 45M, which is less than half of the typical JVM. This image also includes launchers for the application, named hellofx and hellofx.bat. Now all you need to do is make use of the launcher suitable for your platform and the application runs without a hitch! The plugin also includes an option to zip the generated image, making it a little easier to distribute your custom image + production code to whoever needs it.